"After any death, there is bound to be searing anger as well as grief. In this amazing tale of woe, venality, treachery, larceny and plain old-fashioned abuse, Erin Vincent tells the story of her parents' death, and the harrowing Dickension fallout which then ensued. 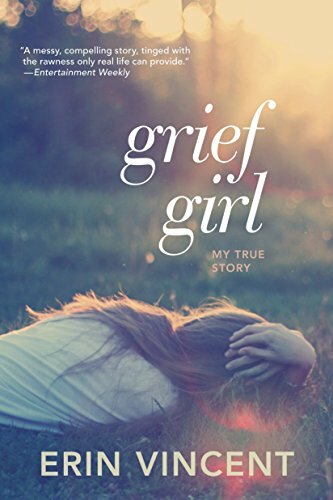 GRIEF GIRL is a story of righteous indignation, bruising sorrow but a final triumph that has you cheering for this wonderful woman by the end." Erin Vincent has worked as a journalist, a fashion designer, a theater actress, a photographer's assistant, a tailor to the stars, and a bartender, and has served meat pies and mushy peas late at night from a roadside van in Sydney. She now spends her days (and nights) as a writer and a youth counselor. Erin divides her time between her hometown of Sydney, Australia, and Los Angeles. She lives with her artist husband, Adam Knott (aka Adam James K), a one-eyed goldfish named Reginald, and a sweet little cat named Foofee. Sadly, her beloved pet crab Charlie died after sticking around long enough to help her get through the writing of Grief Girl. RIP, Charlie.